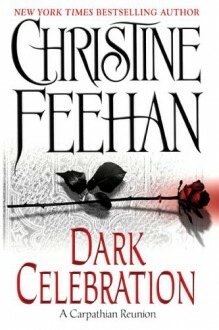 From the uninhibited imagination of Christine Feehan comes a sensual adventure of her beloved Carpathians-one of undying passion, astonishing fantasy, and eternal love. They are the Carpathians. For years, they have been persecuted by their enemies, and have struggled against all odds to preserve their species. Now, a new insidious plot has been devised-one that would slaughter Carpathian females and bring an end to all that the Carpathians have worked for. Even with his own lifemate, Raven, and their daughter Savannah, in danger, Carpathian king Mikhail believes that all is not lost. Gathering all of his people together, he will forge a new bond of strength, joining their powers in a celebration that will bring light even in this dark time.